In 1966 I shipped out with the West India Line of West Palm Beach Florida. They were in the process of expanding their fleet so I decided this was a good time to get onboard. After serving as 2nd mate and Chief mate of a number of vessels. (You will see I don’t call them ships as most were just power barges) specially built to travel up rivers and bays but also capable to sailing of the oceans too shallow draft which was very suitable to deliver very heavy cargo from point to point not like he regular freights that could only use designated ports and harbours. These vessels could and would go anywhere. The big oil companies just loved them because they could supply and build there frames with having very large sections shipped whole. In December 1969 I took command of the M/V Inagua Sound, one the those special type vessels. In February 1974 I was ordered to proceed to New Orleans and from there up the Mississippi river and Tennessee River to Chattanooga, Tennessee. It took 8 days to reach Chattanooga. We dock at the Combustion Engineering Inc. plant were we were to load a Breader Nuclear reactor for the Atomic Energy Commission. The destination of this reactor is Hanford Reservation in Richmond, Washington. This being a foreign flag vessel, the United States Senate had to wave the Jones Act to allow a foreign flag vessel to load cargo in one US port and discharge it in another US port without going into foreign waters. So I am the first person to command a foreign ship which loaded in one US port and discharge in another since 1929 when the Jones act was passed. The record can be checked in Washington DC. By being a foreign vessel and crew we were checked out by the FBI and CIA. No one could sign off or sign on, the original crew had to complete the trip. The Coast Guard escorted us down the Mississippi River to SW Pass on the outside of the Mississippi River. I had orders not to pass within 30 miles of Cuba. I even had a CIA man to ride the ship to Long View, Washington. The US Army took guard when I transit the Panama Canal and the Coast Guard greeted me at the mouth of the Columbia River. I had a Navy commander breathing down the back of my neck for 4 days quizzing me what I would do should an accident happen. Thank god I delivered it safe. 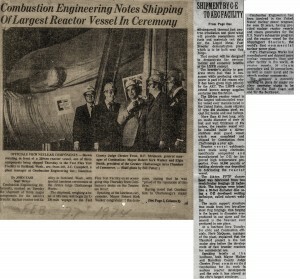 The reason that the vessel was chosen at that time there was not any vessel flying the American flag that could load in Chattanooga and deliver in Washington. The other option was to load on a flat barge tow it down to New Orleans, load in on a large freighter, then unload on a flat barge in Long View, Washington that was ruled out as too much handling. The other was to put it on a barge and have it towed all the way. That was not acceptable because it was possibility that the tow line might break so that’s why the West India line got the job. It was a lot of politics involved. When you know the right people anything is possible. 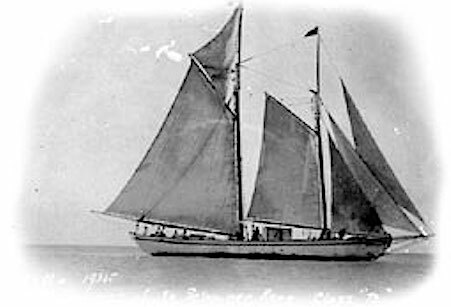 I would like it if someone who may read this article could check out and find if there are records in Washington about the voyage. I know there was a camera man and a news man taking photos of everything that happened. I was in Chattanooga 26 days loading this cargo. I am told it was worth 24 million dollars. This piece of equipment was built by combustion engineering as a sub-contractor for Westinghouse Electric Corp which building the FFTF.